“What then shall we say, brothers and sisters? When you come together, each of you has a hymn, or a word of instruction, a revelation, a tongue or an interpretation. Everything must be done so that the church may be built up” (Paul, 1 Corinthians 14.26, emphasis added). This week, I want to build upon what we looked at last week: the relationship that exists among the Godhead (as taught by Jesus) is the clearest example we have been given of the God-intended nature of our gatherings. From the very beginning, I want to say that this in no way a critique of any church fellowship, tradition, denomination, or institutional church. HeartGroups (as introduced by our Ministry Update news email last week) are not in competition with, nor meant to be a replacement for, whatever institutional religious experience someone may (or may not) already be engaged in. HeartGroups are only intended to be supplementary. HeartGroups are modeled after the early New Testament-era church gatherings. Yet, this should not be taken to mean that God cannot or is not working through other modes of gathering together as well. At Renewed Heart Ministries, we have modeled our HeartGroups after the early church, simply because 1) we have the clearest instruction for this type of gathering from the text of the New Testament, and 2) we have seen it to be the most holistic way for followers of Jesus to experience real and mutual growth, within the context of genuine fellowship and an authentic community. But enough about all of that! Let’s dive right in to our topic this week by looking briefly at a few texts. Romans 15.14: I myself am convinced, my brothers and sisters, that you yourselves are full of goodness, filled with knowledge and competent to instruct one another. Colossians 3.16: Let the message of Christ dwell among you richly as you teach and admonish one another with all wisdom through psalms, hymns and songs from the Spirit, singing to God with gratitude in your hearts. Hebrews 10.24, 25: And let us consider how we may spur one another on toward love and good deeds, not giving up meeting together, as some are in the habit of doing, but encouraging one another—and all the more as you see the Day approaching. Ephesians 4.15, 16: Instead, speaking the truth in love, we will in all things grow up into him who is the head, that is, Christ. From him the whole body, joined and held together by every supporting ligament, grows and builds itself up in love, as each part does its work. Meditate on these passages, if you will. This week, I want you to notice that, in each of the above passages, the nature of the early New Testament church is clearly described. They were open, mutually participatory gatherings where each person was free to share. They were not marked by command-style leadership. There were no hierarchical structures; no passive spectatorship; no one-upmanship; and no religious rituals and programs. Rather, just as we witnessed among the Godhead last week, these groups were marked by complementary and reciprocal interchanges, love, and fellowship. These early New Testament gatherings were marked by mutual love, mutual fellowship, mutual dependence, mutual honor, mutual submission, mutual dwelling, and authentic community. This actually explains that the role of a New Testament Apostle is so unique from anything we have today. (Apostles were church planters, but in a very unique fashion; see Ephesians 4.12, 13). After the Gospel had been preached and there were those who had genuine encounters with God through the person of Jesus, the Apostle would stay in the area for a temporary time, with one goal in mind: Establish and develop a group with an open, mutually participatory nature, and once it’s off and running, leave it! These fellowships were not to be led by the Apostle. No, no! They were to function with mutual participation, with Christ as their head (Ephesians 2.14, 15). With the help and encouraging of the Apostle, those within the group who had a natural tendency to take over would have to learn, over time, to listen more to others in the group and to submit more to the headship of Christ Himself in each gathering (Ephesians 4.15, 16). Those who were not comfortable sharing needed time, encouragement, and support from the group, as they became more comfortable, and over time, confident, in sharing and edifying the group with the ways in which Jesus was leading them as well. From a human view point, the work of the Apostle was about teaching those who like to share to also listen more, and for those who are not comfortable sharing to become more comfortable. From a Divine viewpoint, it was about teaching a group to, together, submit to the Headship of Jesus Himself; it was not just having a gathering about Jesus, but actually allowing Him to sit in the driver’s seat and serve as the leader of each gathering (Again, see Ephesians 4.15-16). 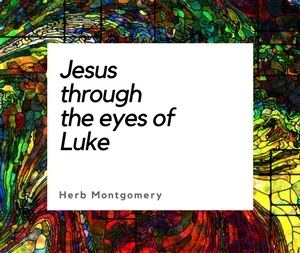 •the centrality and supremacy of Jesus Christ, not just as the central subject, but the functional leader and head of each gathering as well. Galatians 1.1: Paul, an apostle . . . to the churches in Galatia. 1 Thessalonians 1.1: Paul, Silas and Timothy, to the church of the Thessalonians. 2 Thessalonians 1.1: Paul, Silas and Timothy, to the church of the Thessalonians in God our Father and the Lord Jesus Christ. 1 Corinthians 1.1,2: Paul, called to be an apostle of Christ Jesus by the will of God, and our brother Sosthenes, to the church of God in Corinth, to those sanctified in Christ Jesus and called to be his holy people, together with all those everywhere who call on the name of our Lord Jesus Christ—their Lord and ours. 2 Corinthians 1.1: Paul, an apostle of Christ Jesus by the will of God, and Timothy our brother, to the church of God in Corinth, together with all his holy people throughout Achaia. Romans 1.1-7: Paul, a servant of Christ Jesus, called to be an apostle and set apart for the gospel of God . . . to all in Rome who are loved by God and called to be his holy people. Colossians 1.1, 2: Paul, an apostle of Christ Jesus by the will of God, and Timothy our brother, to God’s holy people in Colossae, the faithful brothers and sisters in Christ. Ephesians 1.1: Paul, an apostle of Christ Jesus by the will of God, to God’s holy people in Ephesus, the faithful in Christ Jesus. Why? Because there were no “clergy” as we know it today in these small gatherings. Why? Because there were no laity in Paul’s headspace, but rather a priesthood (today, it would be called “pastorhood”) of all believers. Today, we are at the tail end of centuries of teaching the members of God’s church to simply function as weekly “spectators.” This is so deeply ingrained and has been done to such a degree that many don’t even have the confidence to embrace a gathering where they could take a more active, participatory role in exercising their own spiritual gifts. Many don’t even know what their gifts are (Some, on the other hand, are dying for this kind of mutual fellowship). But the mere fact that we have to resort to “tests” to discover our spiritual gifts, rather than letting them become obvious to everyone in an open, mutually participatory gathering, is proof within itself of how far off the path we have strayed. Meet ahead of time for prayer. Mutually open, participatory gatherings require more prayer, not less. Then, as more people begin to show up, take time to actually eat together. Each person should bring a dish. This breaks the ice and gets things started. It’s what Acts 2.42 refers to as the “Breaking of Bread” together. Then, once everyone has eaten, you could move into a mutual sharing or praise time. Although this will be done in a way that respects each person (no one interrupting another), this is a time of spontaneity and open sharing, whether through song, something Jesus has shown you in his word that week, an experience where Jesus has taught you something that week, or periods of mutually participatory prayer. A unique but fun example would be if someone wrote a song about Jesus this week and wanted to share it with the group. This could easily become a sing-along. Or, if someone had some cool insight into one of the Gospels, then the group could openly discuss it, or even some life experience that Jesus was speaking to them through. Most of all, we want God’s direction to be first and foremost and for ours to always be held as secondary. Each person is open to share or even stop and pray. This is when we practice the 52 “One Anothers” of the New Testament. One exercise I am extremely fond of that binds a group together is what I call “Encouragement and Affirmation Time.” This is a time where each person is, in turn, affirmed and encouraged by the group. This is the unique time when we get to, in a very unique and purposeful way, express our love for one another, encourage one another, and build each other up (1 Thessalonians 5.11). Again, many of us don’t even know what our gifts are. For many of us, it’s going to take time for us to even work up the courage to share. Let’s face it; we have spent our lives, most of us, in training to be nothing more than weekly spectators. But, as each week passes, we will get closer to the mutually participatory nature that the gatherings of Jesus’ followers were originally intended to possess. Be patient with yourselves. This will not happen overnight. It’s a journey, not a destination. Enjoy it! Romans 16.5: Greet also the church that meets at their house. 1 Corinthians 16.19: The churches in the province of Asia send you greetings. Aquila and Priscilla greet you warmly in the Lord, and so does the church that meets at their house. Colossians 4.15: Give my greetings to the brothers and sisters at Laodicea, and to Nympha and the church in her house. Without entering into the endless debate about the necessity of “church” buildings, the fact the early church met in the homes of followers of Jesus is a point that must not be overlooked (For the first three hundred years of Christian history, followers of Jesus met exclusively in “homes.” The first “church” buildings did not appear until the fourth century after the “conversion” of Constantine. This, too, was a time when the church was growing exponentially). Why is this noteworthy? A HeartGroup can meet anywhere, but I personally know of no other environment that is more conducive to open, mutually participatory gatherings than a living room. It’s informal. It’s designed around relationships. And, it’s where the early church met too! There is no other setting that encourages, in my experience, a gathering of this nature to simply just “happen” as effectively. This week, I also want to add that this type of gathering not only requires that one’s picture of God looks like Jesus, but also, like no other gathering to my knowledge, the fostering of fellowships and gatherings that, by their very nature, demonstrate most effectively the radical, other-centered, self-sacrificial love of God, as revealed in the life, death, and resurrection of Jesus. Remember, we demonstrate the truth about God, not just by our beliefs, but how we “do life” too! When it comes to how we do life “together,” this is no exception. If you would like to try a HeartGroup on for size, or if you are already gathering in early New Testament style, please drop us a line (heartgroups@renewedhearministries.com). We’d love to spend some time either encouraging you, helping you start a HeartGroup in your area, and/or just listening to how God is blessing your already existing group. Remember, just like the children of every parent, (See last week where we discussed how the early churches were simply the “children of the Godhead.”) each HeartGroup is going to be just as unique from one another as two children can be who are from the same set of parents. But no matter how unique those children are, they will carry within them the same DNA. What is the common thread, DNA for a HeartGroup, that we also find in each of the early churches? The “One Anothers” of the New Testament. The every-member-lovingly-sharing, mutually open participatory (verses passive spectatorship) nature of the Godhead itself! No two HeartGroups will look the same. But what all HeartGroups should have in common, is what we have covered in this eSight at the very minimum. These are not glorified Bible Studies (although each person is sharing from their Bibles) where the same person leads out each week. Nor are these just “church” on a smaller scale. (Think of it like a church “Potluck” where everyone brings a “dish.” This is just Christ centered, praise and fellowship, Potluck style, where everyone has prepared and brought something (Not a whole meal (i.e a Sermon), but just a dish remember, of what Jesus has been teaching you that previous week) to share and edify the group with. Again, this is a gathering where Christ Himself is the head, and any human leadership that is present is simply ensuring that that Headship is not taken over by anyone else. It’s a new paradigm for some to think about, for sure. But, you don’t have to think too hard. Try starting a HeartGroup in your area and see where Jesus leads it. You don’t have to be in charge; He’ll take care of that. You simply provide the location. The group itself, through the leadership of Jesus Himself, provides the food, the fellowship, and the mutual teaching, instruction, encouragement, and edification. As always, keep living in love, loving like Christ, and keep enlarging the Kingdom, one relationship at a time.